Public Sector Home Financing Board (LPPSA) is not for everyone. We seek only the BEST. We look for talents who are passionate about contributing to LPPSA and the nation, committed to high standards of work delivery, highly competent in their relevant areas of expertise and able to rise to the challenge of managing adversity in a high performing organization. We believe in putting in place good people, suitable infrastructure, effective systems and processes to facilitate our business operations. We aim to build a strong talent pool by creating a good working culture that is conducive for our people to stay with us for the long term. We offer competitive remuneration package, continuous professional development and career progression for the right candidates. 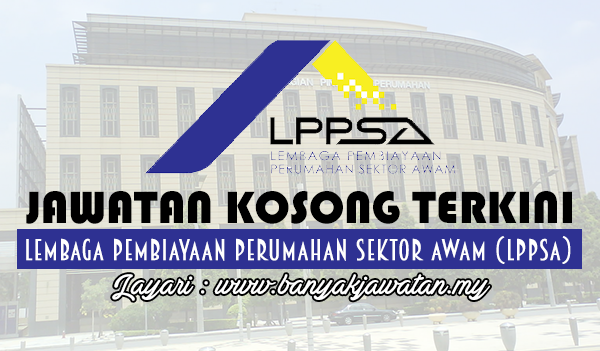 0 Response to "Jawatan Kosong di Lembaga Pembiayaan Perumahan Sektor Awam (LPPSA) - 15 March 2018"